You are receiving this information as you have made an appointment to see Mr Peter Ammon. Please ensure you confirm your upcoming appointment or cancel if no longer required by telephone or email. You must have private health insurance with hospital cover (ancillary cover is not sufficient) to see Mr Ammon. Alternatively, a Workers Compensation/ MVIT case with an accepted claim number is sufficient. If claim is still pending or liability has not been determined, you will need to pay for the consultation on the day. He will also see Veterans Affairs and Department of Defence patients. Mr Ammon does not see public patients, as he does not have a public hospital appointment. 1) Your referral from your GP. 2) Any x-rays or scans (including reports if possible) you may have relevant to your problem. Private Patients – Medicare card and private health fund card. DVA Patients – DVA card (White card holders need to bring confirmation of areas covered). Workers Compensation – Claim number, Date of Injury, Insurance Company and Employer details. MVIT – Claim number, Date of Injury & Insurance Company. Your appointment: we need certain information on yourself including a brief history of the problem. You can provide this on the day by arriving a few minutes early to complete the registration form or complete it and fax (6332 6301) or email it to us earlier. Every effort will be made to see you at your appointment time, but please be aware that emergencies or unforeseen issues can sometimes cause delays. If we are aware early enough of delays we will contact you by telephone to warn you. 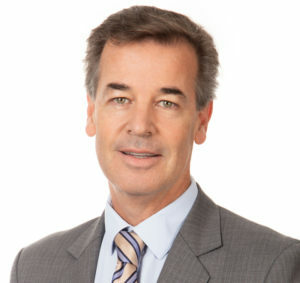 Mr Peter Ammon is an Australian trained Orthopaedic Surgeon specialising in foot, ankle and knee surgery. Mr Ammon undertook his undergraduate medical training locally at the University of Western Australia graduating in 1990. He then completed his orthopaedic training program in 2001. This followed with fellowships in knee replacement surgery in Sheffield UK in 2002, and a foot and ankle fellowship in Melbourne, Australia 2003. Mr Ammon has been in full time private practice since 2004 with the Murdoch Orthopaedic Clinic and works purely at St John of God Hospital in Murdoch, WA. Mr Ammon is actively involved in the Australian Orthopaedic Foot and Ankle Society both in WA and nationally and attends Australian and international conferences every year to stay current and up to date. He has performed over 8000 foot and ankle procedures to date. Operations: unless you are covered by an accepted insurance claim/DVA (mentioned above) there will always be an out of pocket expense for surgery. Mr Ammon spends considerable time and effort to make sure that every procedure is performed precisely and as planned, without hurrying or cutting corners. This includes every part of the operation and the dressings. This dedication takes time and unfortunately increases costs. The Medicare rebates have not kept pace with inflation and as a result there are now large gaps between AMA fees and the rebates from Medicare and private insurance.